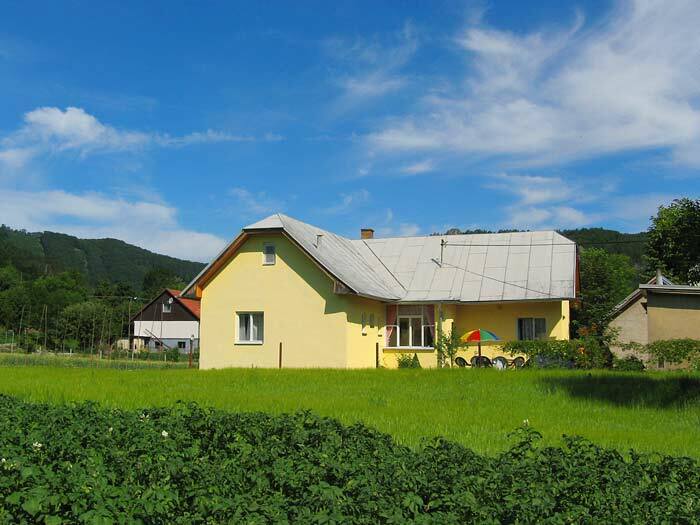 Book your accomodation in the holiday house Maria in Sulov village – ideal for visitor groups and families! The holiday house „MÁRIA“ is a renovated family house No. 189 in the Sulov village. 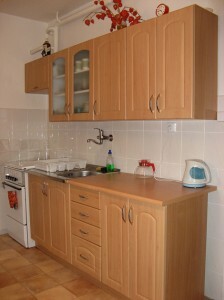 It is completely furnished for your stay any time of the year, uses central gas heating in the winter season. It consists of a living room, two bedrooms (4beds + 2beds), kitchen, bathroom with shower and separate WC. The living room is also equiped with a projector and large projecting screen giving you the opportunity to comfortably share your pictures and videos within a larger group. The house is surrounded by a lawn yard and a meadow with barbeque & fire place. It is located in a sparsely settled area, guarantees the comfort and privacy of our guests. Optimal capacity is 6 people, maximum capacity 10 people (on couch & extra beds). During your stay the house incl. the equipment & surrounded yard is available only for you! There is parking space available for 3-4 cars directly on the court. The guests prepare their food individually. The house has a fully equipped kitchen. 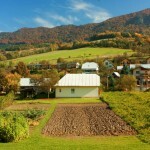 The grocery store and local pub are cca 400m away in village center, a new restaurant is located cca 200m away. Gourmets can use the grill and barbeque opportunities directly on the surrounding lawn yard. In the summer season you can enjoy your meals outside using the available garden furniture. 420,-€ = 10,-€/person/night. The consumed energies (electricity, gas) are charged separately (not included in the base price) however this cost is very low in the summer season. Price for your particular stay depends on number of people and length of stay. Price for an extra bed is fixed: 10,-€ for the whole stay. We wish you a pleasant stay in the beautiful region of Sulov Mountains!